Deep tissue massages are one of the most popular types of massages and have various potential health benefits. They target the inner layers of your muscles, connective tissues and ligaments. Generally athletes and highly active individuals prefer deep tissue massage to recover from muscle soreness and injury. But these are not limited to just athletes because the health benefits which a tissue massage offers can be enjoyed by all. Here is all that you need to know!  Talking to your therapist about any past or current injuries before the massage session will help the certified therapist to understand your body. The massage can be individualized to a certain muscle group or can be focused on the entire body. It is always good to communicate to your therapist during the session, any discomfort regarding the pressure applied or if a certain part needs more focus. Taking a warm shower or a steam bath before the massage helps in relieving stress. During the massage session, it is natural to feel discomfort due to pressure applied on your body. This is because this type of massage breaks down the muscle ‘knots’ and tightness in them. These knots are responsible for pain, soreness or limited range of motion. A word of caution: The professional therapists may use their elbows, knuckles and finger tips to undo these ‘knots’ and this not something to be startled or concerned about. It will only benefit your muscles. As discussed earlier, deep tissue massage has several benefits. It eases chronic pain and muscle tension, improves the range of motion and also aids in fixing postural problems. Lower back pain is very common among adults and deep tissue massages address this problem and give relief from pain. Research also shows that patients with problems like tendonitis and osteoarthritis experience significant improvement in their condition after several sessions of deep tissue massage. It is natural to experience some level of discomfort because the therapist applies pressure on your body. But it is important to stay calm during the process because if you get tensed, you are likely to contract your muscles and this would make it more difficult for the therapist to access the deeper layers of the tight muscles. Pain is not necessarily good and if you experience pain it is always better to communicate it to your therapist. Always consult your doctor before a deep tissue massage if you have undergone a surgery recently or if you are under therapy like chemotherapy or radiation therapy. If you have blood clots it might not be wise to have a deep tissue massage session because of the risk of an embolus formation where the blood clots may get dislodged and block arteries or veins. Deep tissue massages are very effective in relieving stress and muscle tightness. Visit us today and experience the relaxing effect of an authentic deep tissue massage to heal your body.